SAN FRANCISCO,Ca (7/3/14) The best way to celebrate this 4th of July Weekend is to rush to the nearest theater showing Dinesh D'Souza's "America – Imagine the World Without Her," which defines the founding of our country and what it means to be an American. The attendance was light. The liberals did everything possible to sabotage the film and dissuade people from attending. There were only 9 peple in the theater. When I entered, the attendance rose to a staggering 10. This was a 2:10 PM matinee. The Leftists have been screaming about the evils of this film which is strange. If they actually saw it, they would see that the Communist Democrats get full screen time to spew their hatred for America without interruption in the very film they condemn. The problem is that they want no opinion but theirs to be heard. Indeed, the first several minutes of the film presents the left's viewpoints about all that is wrong with America, the slavery, mistreatment of Indians, greed, stealing, wars for profit and exploiting her citizens. So one does not need to absorbe the leftist "reviews" of the film since their opinions of the founding of America is abundantly clear in the screen time they are given. Mr. D'Souza is a charming presence in the film who sits down with the most active Communist Democrats who seem comfortable with him. Who amazed me the most was lawyer Alan Dershowitz who appeared entirely different with D'Souza and seems to have altered his stance on America. For the first time he did not seem to be the angry liberal who hated everything about the U.S. and being rude at the same time. Here he was downright acceptable. When Mr. D'Souza asks questions that would seem to go against what America stands for, he allows them to answer with no interruptions or editorializing after they have spoken. Every guest was treated respectfully. I noticed that about him personally when seated at his table and talking with him during an event in D.C.
Mr. D'Souza then tells the more valid story of America while addressing all the issues the liberals brought up. 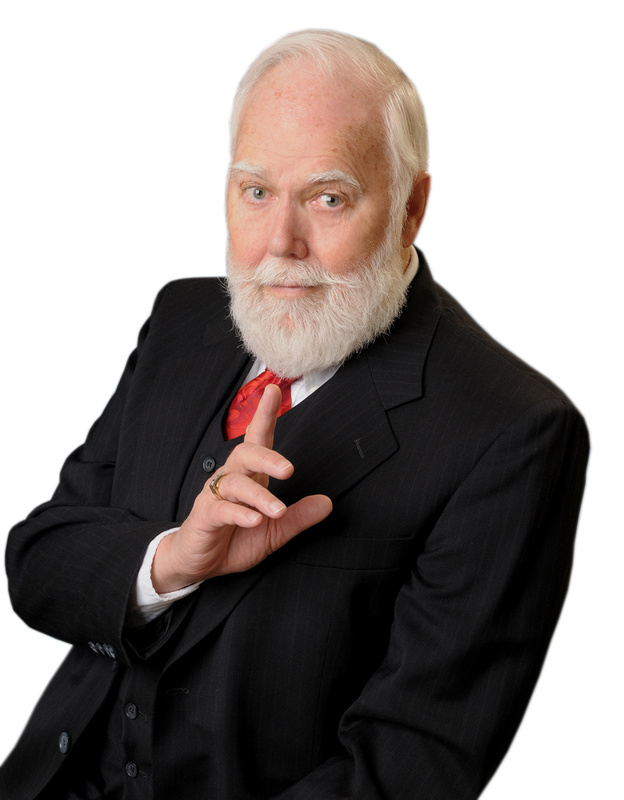 He shows how slavery was all over the world and how England kidnapped frightened white children to take them to work factories and shows that the white people were not exclusively cruel slave owners. The most fierce cruel slave owner of all, was William Ellison,owning 60 slaves and who is...black. A profile of a black woman C.J. Walker that everyone referred to as, Madam Walker, was brought up with all the disadvantages of those who claim them, yet managed to push herself through school, then college and creating a product that she began manufacturing and became the first black millionaire. No one stopped her from being a success. She began speaking to many groups who think only, 'disadvantage,' and meld into that mentality which they wallow in and take comfort in. After telling her own story she works to see them put themselves on the right side of opportunity not the space of no opportunity which so many have fallen into. There are many of these kinds of stories that have been kept out of the history books, especially by those history professors of this present age. The great massacre of the Native Americans was actually scores of them dying from illnesses similar to the plagues of England that took such a heavy toll. In England it was not called a massacre, but what it was, a plague. Yes, some of the early Americans did some dastardly things, but the real Americans absolutely did the right thing. Capitalism is explained with more clarity than has ever been given and certainly shows to be superior to any kind of totaliltarian government rule. The Leftist reviews of this film are on the verge of insanity. They say the film is produced shabbily, is jumpy, not well photographed and even criticize the music. NONSENSE! The film is an EXCELLENT production, well paced, the graphics are superb, even in the opening credits where some names are shown on a drive in move screen. All the scenes inacted are totally professional. This is a class A Production, the music is very good and helps establish the scenes and moods. What is curious, maybe even more telling, is how Al Gore's film about Global Warming titled, "An Inconvenient Truth," (he got that title from this writer who was the first to use the term in a very widley published story about abortion of 'Inconvenient Babies.") After that every writer in every story was using that word. Gore's documentary was lacking in all production values, and only so-so, which means not up to professional standards. Plus, the "music" absolutely STUNK! Yet his film was given rave reviews by the leftist press. Hollywood was "impressed" enough to give Gore an Academy Award for this fraudulent propaganda substandard film and gave him a second one for the "music,'"Somebody had to be paid off somewhere or was off their medication. Those lefties who pushed this through are the same lefties that are trying to tear apart the film, America. The film is GREAT. The beginning showed our national symbols, like The Statue of Libery, Mt. Rushmore, Lincoln's Memorial all turning to dust and evaporating. At the end for the finale, the monuments all rise from the dust they had become. When we are shown what we can do to preserve our country, it was so moving that at the end, when a man in the seat in front of me turned before leaving to say, "This is worthwhile to see," I tried to say, "It sure was," then choked up and began to cry. This tribute to America is by a writer and producer who came to America 30 years ago from India, and shows his love for his adopted country, something those of us who were born here and raised here should emulate. We might even stop and say, "Thank you America." This film is highly recommended to all. Attend it. Have your church do a block ticket-buy to attend. We might just learn to appreciate what others risk their lives to come here for. 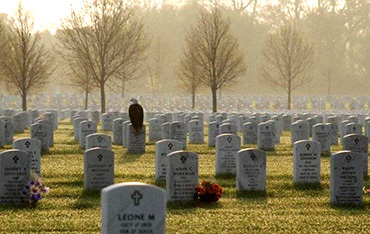 The photo above of the Eagle guarding a veteran's cemetery was provided by Helen Truatman of Pittsburgh.